The 92-story Luxury Hotel located in downtown Chicago and is the 9th tallest building in the world. It has 339 luxurious guestrooms, which feature modern furniture, spacious baths and stunning views. The Trump Hotel also has award-winning amenities including a 23,000 square-foot art spa, a fine dining restaurant featuring modern cuisine, impeccable service and amazing unobstructed views of the city’s most beautiful architectural landmarks. 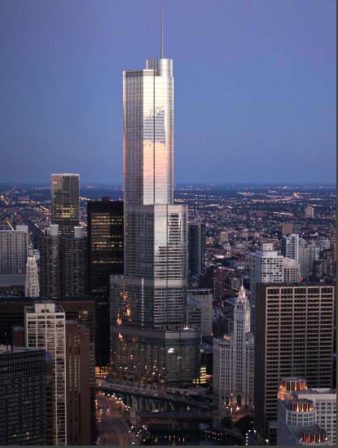 Trump International Hotel & Tower Chicago is an exclusive member of the Haute Hotel Network.